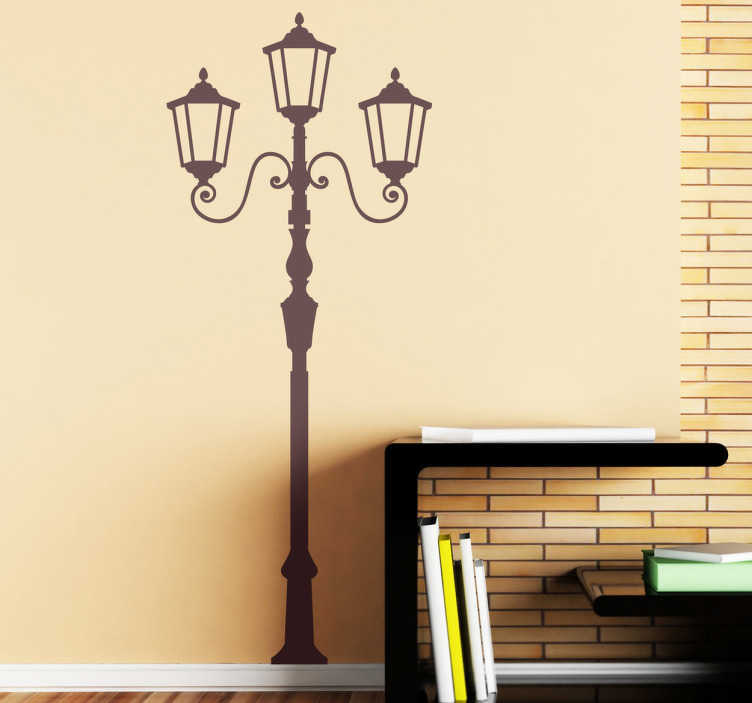 A great vintage wall sticker with an old fashioned street lamp with three lights. A retro decal for those looking for a classic yet elegant wall decoration. Decorate your study room or living room and travel back in time! Choose your favourite colour and size that best suits you. Our wall stickers are made from high quality, anti-bubble vinyl and are easy to apply.